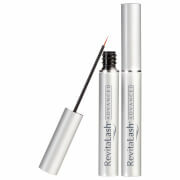 The RevitaLash Total Lash Beauty Mini Kit combines three travel-sized, lash-perfecting formulas to enhance the length, depth and colour of your natural eyelashes. The conditioner, primer and volumizing mascara will leave every lash looking stronger, longer and beautified. A nourishing eyelash conditioner designed to bring your dry, brittle lashes back to life. 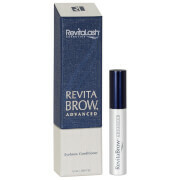 Blending scientifically advanced technology and natural botanicals, the breakthrough cosmetic formula protects against breakage and brittleness by fortifying flexibility, injecting moisture and adding shine to each and every lash for a healthy, dramatic look. Keeps lashes safe from daily aggressors while retaining softness. A silky, matte formula lash primer enriched with conditioning peptides that amplify the length and thickness of your lashes and prepare them for the maximum effects of long-lasting mascara. Featuring an indigo-hued shade that brightens the eyes and intensifies the depth of mascara, the primer combs out unruly lashes while it coats each hair to prevent clumping, flaking and smudging. The primer arrives with a unique hourglass-shaped wand with bristles that help separate and define lashes. A buildable, high-performance mascara designed to lengthen and volumize the look of natural eyelashes. Enriched with conditioning vitamins including Biotin and Panthenol, the smudge-proof, water-resistant and clump free formula separates each lash and coats them to maximize length and fullness for a sultry, dramatic look. Conditioner: Wash hands and face with a mild soap and water. Let face and eye area dry completely prior to application. Once a day, apply a thin line to clean and dry eyelashes above the level of the skin. One brush stroke is sufficient to cover eyelashes. Only a small quantity is needed to beautify and promote the attractiveness of natural lashes. Primer: Apply to bare lashes, wiggling at the base of the eyelash and twirling upward and outward. Follow with mascara. Mascara: Apply companion product RevitaLash® Volumizing Primer to bare lashes, wiggling at the base of the eyelash and twirling upward and outward. Apply preferred shade of Volumizing Mascara over Primer, wiggling at the base of the eyelash and twirling upward and outward. For a natural look apply one coat of Volumizing Primer and immediately follow with your favourite Volumizing Mascara shade while Volumizing Primer is still wet. For a more dramatic look apply two coats of Volumizing Primer, allowing it to dry between coats, then apply one to two coats of Volumizing Mascara. Remove with soap and water or eye makeup remover. Conditioner: Aqua, Glycerin, Biotin, Cellulose Gum, Phenoxyethanol, Chlorphenesin, Disodium Phospahte, Phosphoric Acid, Decloro Dihydroxy Difluoro Ethycloprostenolamide, Butylene Glycol, Calendula Officinalis Extract, Panax Ginseng Extract, Serenoa Serrulata Extract, Camellia Sinensis Extract, Swertia Japonica Extract, Triticum Vulgare Germ Protein, Pentylene Glycol, Biotinoyl Tripeptide-1, Octapeptide-2. Primer: Aqua, Glyceryl Stearate, C18-36 Acid triglyceride, VP/methacrylamide/vinyl Imidazole Copolymer, Cetyl Palmitate, Stearic Acid, Candelilla Cera, Propylene Glycol, Steareth-20, Cera Carnauba, PVP, Steareth-2, Caprylyl Glycol, Trethanolamine, Phenoxyethanol, Hydroxyethylcellulose, Magnesium Aluminum Silicate, Urtica Dioica Extract, Glycerin, Myristoyl Pentapeptide-17, Panthenol, Chlorphenesin, Disodium EDTA, Sericin, CI 77007, CI 77499. Mascara: Aqua, Propylene Glycol, Glyceryl Stearate, C18-36 Acid Triglyceride, Polybutene, PVP, Cetyl Palmitate, Candelilla Cera, Stearic Acid, PVP/Eicosene Copolymer, Steareth-20, Cera Carnauba, Trethanolamine, Steareth-2, Phenoxyethanol, Xanthan Gum, Biotin, Calendula Officinalis Extract, Camelia Sinensis Extract, Methylparaben, Panthenol, Rasmarinus Officinalis Extract, Ethylparaben, Isobutylparaben, CI 77499, CI 77007, CI 77266. May Contain +/- CI 77491, CI 77492.